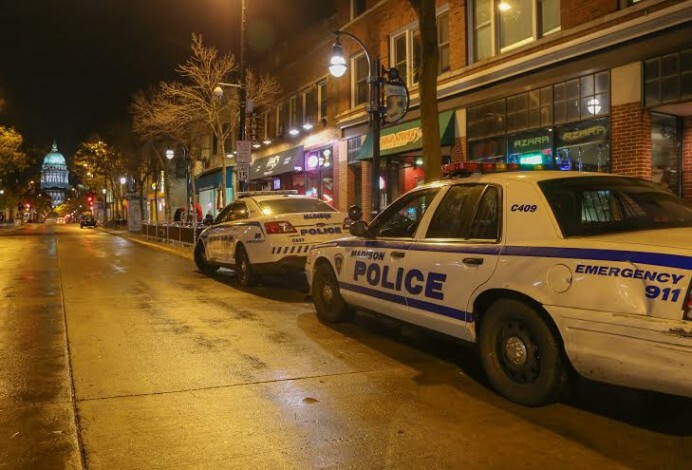 Approximately one-third of University of Wisconsin’s undergraduate student population is of legal drinking age, but police visiting taverns and bars on Friday or Saturday night meet a younger crowd. Representatives from the Madison Police Department, Fire Department and the Department of Civil Rights met with the city’s tavern employees Wednesday, stressing safety issues in bars and ways to stay free of underage violations. “Every bar in this room has a reputation, whether you like it or not. You don’t want to be the bar with the bad [reputation], or, from the underage perspective, good-reputation,” Sergeant Scott Kleinfeldt said. When it comes to fake IDs, Madison Police Officer Christopher Frank said each bar needs its own plans and protocols. Frank said much of the responsibility lies with the bouncer. This individual must check IDs, manage the capacity, summon police aid if needed and evaluate the patrons. Kleinfeldt said it is better for the bouncers to play it safe when evaluating questionable IDs. Lucía Nuñez, director of the Department of Civil Rights, said bars get into trouble when staff members start to apply policies inconsistently, leading to the question of whether they are profiling by appearance. It is fine for a bar to have a dress code, Nuñez said. It is not fine, however, to not apply that dress code equally to every patron. If inconsistencies exist, people could press charges, Nuñez said. Scott Strassburg, fire marshall for the Madison Fire Department, said capacity and overcrowding are other important issues the city looks for in bars. “Capacity is not just a number,” Strassburg said. Capacity is important because the less crowded bars bring less fights, more tipping and an all-around a better experience for everyone, he said. Strassburg said it would be much better if bar staff started looking for warning signs, such as difficulty moving around and verbal arguments, rather than just counting the number of people at the bar. Another problem Strassburg said MFD has been seeing is obstruction and blocked exits in bars and restaurants. Obstruction and blocked exits not only include objects at the actual door and objects blocking the hallway leading to a door, but also exits that require more than one motion to get out, Strassburg said. Strassburg also spoke about the dangers usually accompanying Halloween decorations. All decorations must be flame resistant and the bar must possess documentation to prove this fact. To emphasize how dangerous fires are, he showed video footage of a bar fire in which nearly 100 people died. Because of the amount of flammable decorations present, the fire got out of control very quickly. Kleinfeldt said the police force leaves the responsibility of management to each bar, and it is the police force’s job to check in occasionally and see if each bar is following city laws. The officers placed an emphasis on the fact that they want to communicate and work together with bar owners and staff, not just slap them with tickets. “This is your business, and you all want to protect your business,” Nunez said.